Ready to become an entrepreneur? Let us help you! 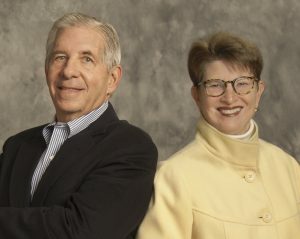 We are two entrepreneurs who love to help other entrepreneurs launch their businesses and make them hum! In addition, we are inbound marketers, HubSpot partners, and very interested in how entrepreneurs can use inbound marketing to grow their businesses. As consultants to other entrepreneurs, we help them find ways to capture the demand that is already out there, create new demand for big ideas, and realize that it is less about what you are making and more about what people are needing. We are “outside-in” thinkers and can help you be one too! This Primer came about as a result of our work with entrepreneurs. It is also part of the work we are doing to connect entrepreneurs to resources. We have launched a program at the Skandalaris Center at Washington University in St. Louis called The Simon Initiative for Entrepreneurship, designed to help students, graduates, members of the community and truly anyone, particularly women, become successful entrepreneurs. Our vision is to develop a platform that can help entrepreneurs connect with the resources they need, from investment capital to talented teams. In addition, we’ve written an award-winning book, “On the Brink: A Fresh Lens to Take Your Business to New Heights,“ we host a weekly podcast, On the Brink with Andi Simon, featuring interviews with entrepreneurs, thought leaders, CEOs and innovators and who share how they turned their ideas into great companies, and we’ve designed a 6-Step Process for entrepreneurs who need smart, innovative business strategies to help them adapt to changing times and capitalize on new technologies. Use this ebook as a guide to help you navigate the multi-layered journey from great idea to a successful business. 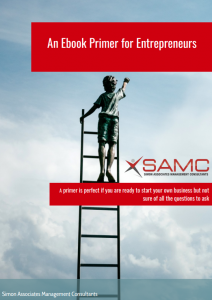 In our EBook Primer, we have mapped out the most important concepts you should consider if you want to take your idea and convert it into an effective, successful business venture. We believe that entrepreneurship is about converting observations about consumer behavior into innovations. Can you do it? Yes!! 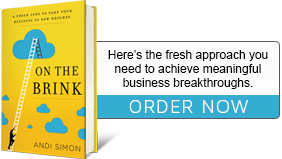 If you are ready to take the plunge and become the entrepreneur you’ve always thought you could be, download our book. Then give us a call. We’d love to help you achieve your dream!